Mahindra Group and Ford today signed of two definitive agreements on powertrain sharing and connected car solutions. The companies had first announced about a strategic partnership in September 2017 and followed up with five Memoranda of Understanding (MoU) in March 2018. Under the agreement on powertrain sharing, Mahindra Group will develop and supply a low-displacement petrol engine to Ford India for use in its present and future vehicles, starting in 2020. The BS-VI compliant powertrain will help Ford extend and strengthen its existing offering of petrol engines, that currently includes the all-new 3-cylinder TiVCT family. Mahindra and Ford also announced joint development of a telematics control unit. 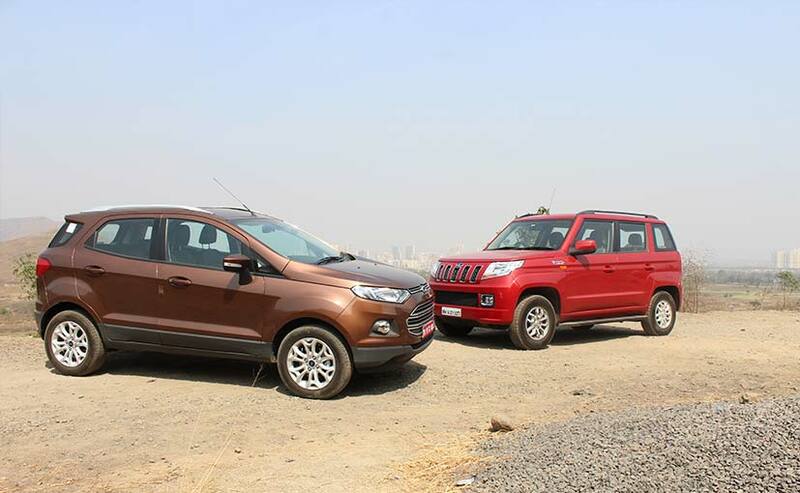 Once developed, the connected vehicle solution will be deployed across both Mahindra and Ford vehicles. Both companies continue to make progress on the remaining MoUs signed earlier this year. This includes leveraging their respective strengths on product development for India and emerging markets, including co-development of compact SUVs and electric vehicles. Jim Farley, Ford executive vice president and president of Global Markets, said "We are pleased with the progress our teams have made since we announced our strategic alliance with Mahindra Group a year ago. Today we go further in delivering even greater value. With our collaboration in powertrain and connected car solutions, we will deliver an affordable portfolio and enable our Indian consumers to get behind the wheel, feeling more confident and connected."